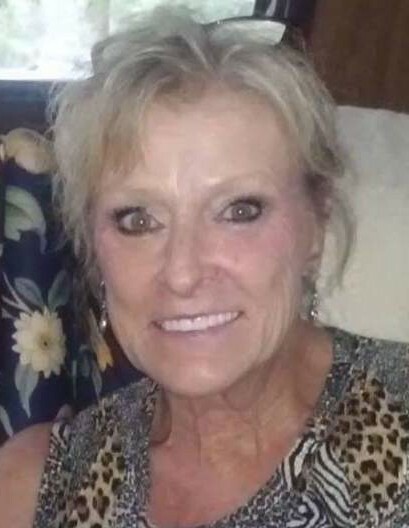 Debra Suzanne Paulk, age 60, of Douglas, Georgia passed away on Tuesday August 28, 2018 at Archway Transitional Care, Macon, GA following an extended illness. Mrs. Paulk was born on June 13, 1958 in Douglas, Georgia the daughter to the late Alton Arnold, Jr and Gloria Ann Stevens Arnold. She worked as a cosmatologist, was a homemaker and a member of Sand Hill Baptist Church. Mrs. Paulk was preceded in death by her husband, George Michael Paulk. Survivors include two daughters, Mandy Adams and husband Joshua of Perry, GA and Daine Paulk of Douglas, GA; granddaughter, Emma Grace Adams of Perry, GA; three sisters, Lawana Carver, Linda Gail Lewis and Diana Lynn Rish all of Douglas, GA; brother, Michael Calvin Arnold of Douglas, GA.
Funeral services will be held on Thursday August 30, 2018 at 3:00pm at Sims Funeral Home Chapel with Rev. Matthew McEachern officiating. Interment to follow at Stokesville Church Cemetery. The family will receive friends Thursday afternoon from 1:00pm to time of service. Prelude and postlude music was provided by Lois Mills. Songs were “Amazing Grace” and “Jealous of the Angels” by CD and Larry Lewis singing "The Anchor Holds".